Creative courses like oral storytelling have proven invaluable to MLIS student Lewis West, who lives and teaches English in South Korea. When working during his undergrad years as a receptionist and tour guide, San José State University School of Information student and ESL educator Lewis West enjoyed helping students and faculty find the exact information they were seeking. As a radio DJ for his university’s (Sonoma University) radio station, West found further enjoyment curating obscure and unusual music to share with his listeners. As a student assistant, his skills for sorting and filing caught the attention of his supervisor, who suggested he look into librarianship as a career path. “I didn’t think much of it at the time,” West says, “but working in the education field and having only a bachelor’s degree limited my options a lot once I got out into the field.” He and his wife began thinking of grad school, and the MLIS kept making more sense as a way to advance his career. West’s eclectic experiences helped inspire his affinity for curation and the work of an LIS professional in him. They also brought him to the digital doors of SJSU’s School of Information. “When trying to decide where to study,” West (pictured right) recalls, “I looked around at various options.” It was ultimately his aunt—a retired librarian—that suggested SJSU’s MLIS program to him. “I looked into it,” West says, “and was really impressed with the program.” The oft-lauded flexibility of the program suited West’s needs perfectly, as even though he’s from Northern California, West pursued global endeavors and lives in South Korea with his wife, who is also pursuing her MLIS. While working on his MLIS, West is employed at a small after-school academy (“hagwon”) in Daejon, South Korea. “My main duties here,” West says, are teaching classes and planning English lessons for elementary students.” In addition, West travels to nearby cities to teach kindergarten. Rather than teach traditional lessons at the kindergarten, West reads to classes or talks to students in English while playing with blocks for English immersion. “Up until the winter break,” West says, “I was also leading a weekly book club at the library.” West’s work at SJSU—through classes like Information Communities and Information Professionals—has helped him understand the nuances of the LIS profession. Of the many benefits at the iSchool, one that consistently stands out among students is the diverse array of traditional and non-traditional information sciences courses available to them. While we have the requisite information professional and cataloging courses, the iSchool also offers courses in oral storytelling and gamification of information. This past Fall semester, West took a version of INFO 281: Colloquial Contemporary Issues with Beth Wrenn-Estes that focused on the art of oral storytelling. Says West, “I took the course partly because I do some storytelling in Korean schools and libraries, so it seemed like a good class for me as a teacher and librarian.” Overall, West found the course useful for someone like him who wants to more effectively perform stories in the library setting. 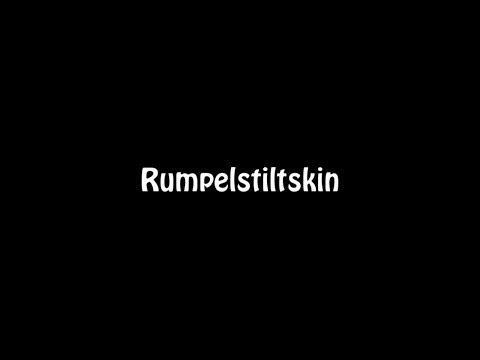 “It had a lot of wonderful techniques to improve storytelling,” notes West, “and the workshopping format with lots of feedback is a great way to sharpen your performing skills.” One of West’s performances saw him retelling the classic Rumpelstiltskin tale, as seen in the video above. With plans to graduate from the iSchool in Spring 2019, West has a little time to consider his next career move, For now, he knows he’ll be in Korea for a while longer. “My immediate plans are to get a job at a Korean university,” West says. “In the past, a BA was enough to teach English at Korean universities, but these days a master’s degree is a minimum requirement.” Within 10 years, West hopes to return to the United States permanently—ideally as an information professional. Wherever he ends up, West feels confident that his work at the iSchool is preparing him for the challenges and profession(s) ahead.